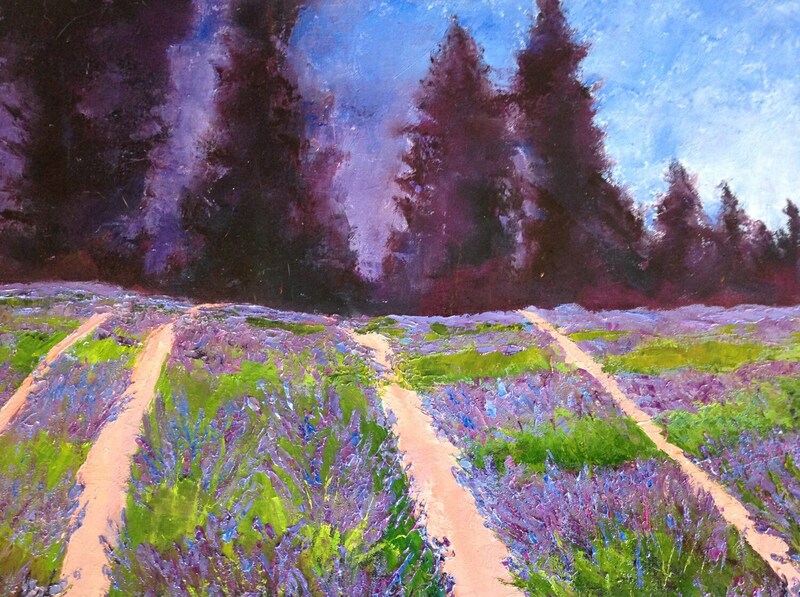 LAVENDER DAYS is an original 18" x 24" Gallery wrap oil painting. 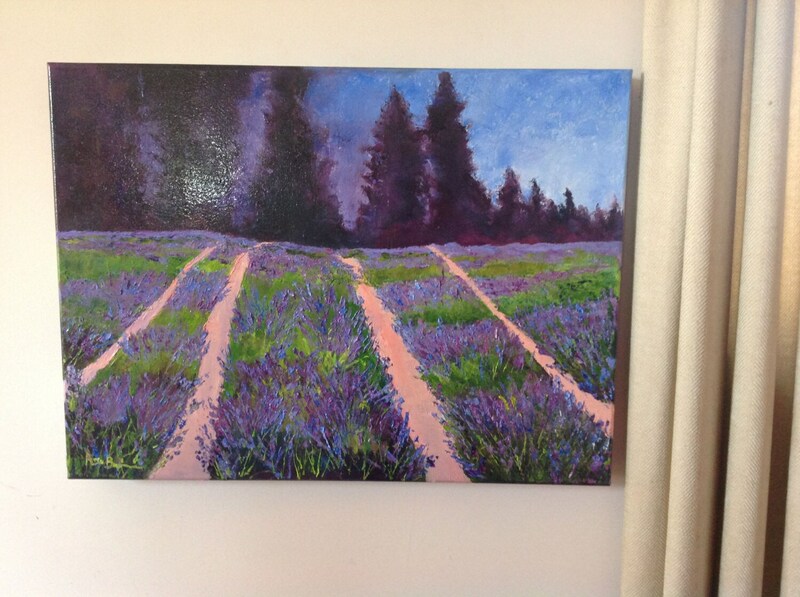 The painting is of a rows of amazing lavender fields. 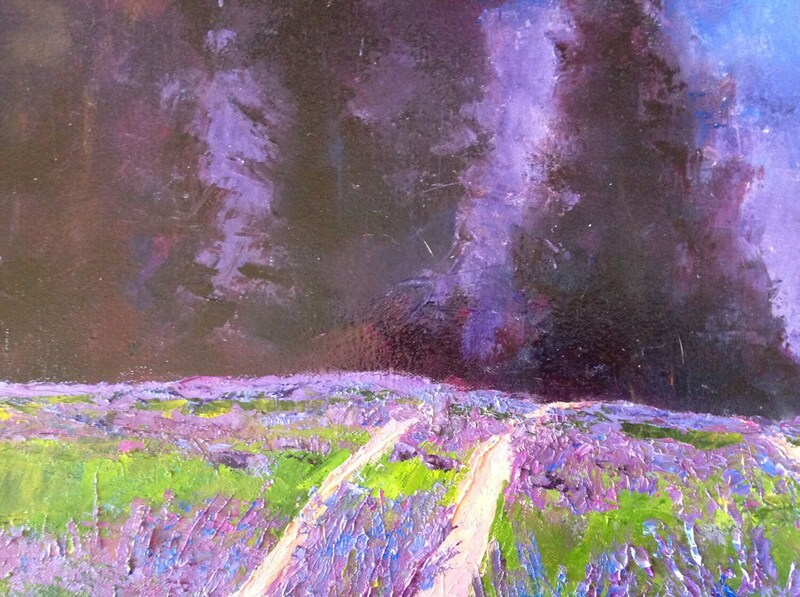 The flowers are in full bloom, and shine with different shades of lavender, purple, and blue. In the background, dusk is falling, so the evening sky is a deep purple. Standing guard are some tall plum-colored trees. 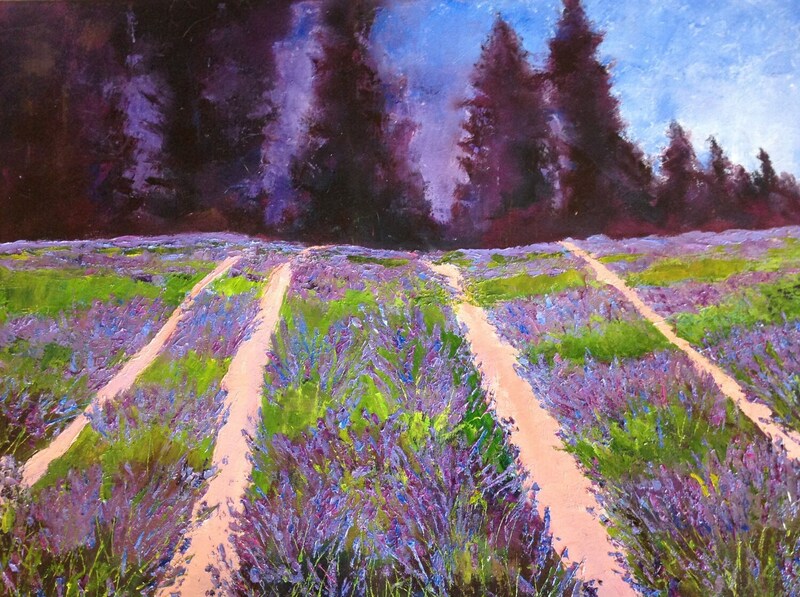 Between the rows of lavender is light rose or peach-colored aisles. This is an impressionist painting with bright colors. It will light up a room, especially if other objects pick up the vivid purples and blues like a pillow or a vase.